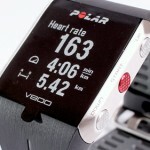 After the update of metrics for the V800 Polar has updated their Flow service to now support a coach. With this update you can now add a coach in your profile who can then see your workouts. 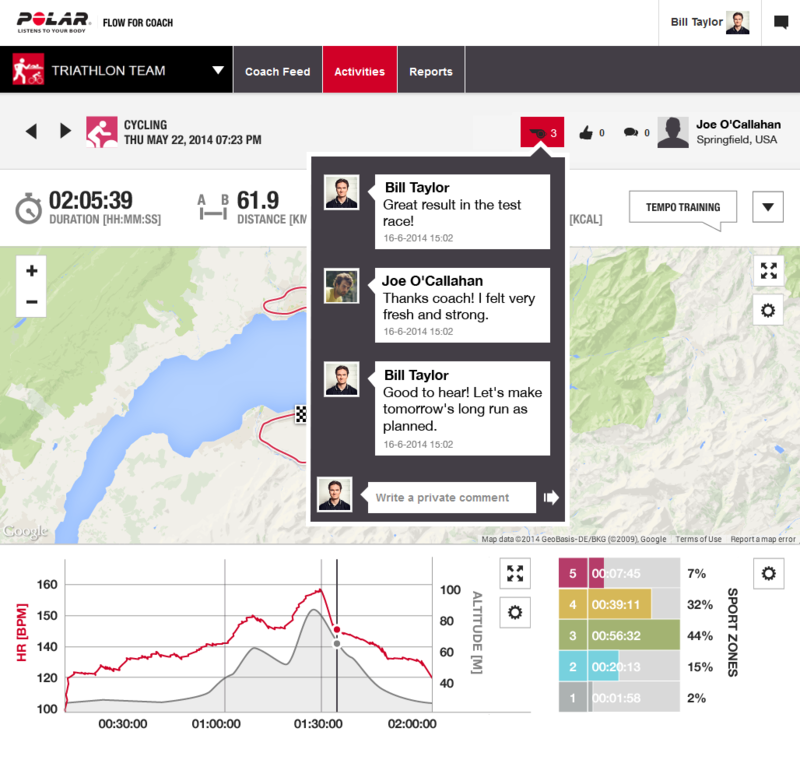 For coaches, a timeline will be available with will show the efforts of their clients. They can see a specific client or sport and easily comment with feedback. Per client an overview is available with summaries (day/week/month). 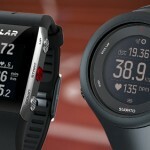 Polar added the ability to add training targets (requires A300, M400 or V800 watch). These targets will sync to the watches to have the targets during the sessions, interacting with the athlete (e.g. by vibrations) to keep the pace up or to start the next interval or part of the training. 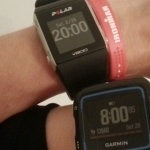 This is one up on TrainingPeaks, as you can set targets, but not the session itself nor can it sync to the watch. And lastly, the coach can see recovery status. The reports give a detailed insight in progress and trends on the long term and will allow both coach and athlete to see the progress.